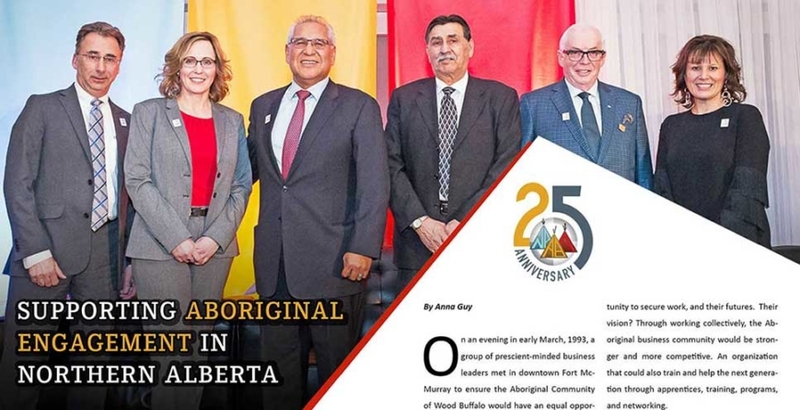 On an evening in early March, 1993, a group of prescient-minded business leaders met in downtown Fort McMurray to ensure the Aboriginal Community of Wood Buffalo would have an equal opportunity to secure work, and their futures. Their vision? Through working collectively, the Aboriginal business community would be stronger and more competitive. 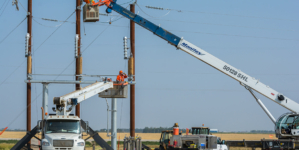 An organization that could also train and help the next generation through apprentices, training, programs, and networking. Thus was the beginning of the Northern Alberta Aboriginal Business Association (NAABA). 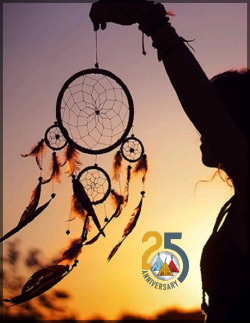 NAABA started off on the right foot: its first Board of Directors included Dave Tuccaro, possibly Canada’s wealthiest aboriginal businessman, Doug Golosky, founder of The Golosky Group of Companies, Archie Cyprien, Simon Waquan…all giants in the Aboriginal business communities. 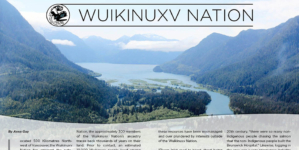 The NAABA’s mission was and is to “To work together as a group of Aboriginal owned businesses to enhance and create an environment which promotes businesses, jobs and training opportunities for the betterment of all people in the region”. 25 years later and that vision is clearer than ever. 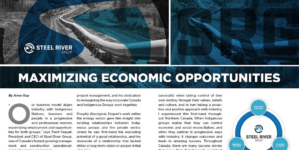 Through working closely with Aboriginal and Corporate industry, the NAABA is enhancing opportunities by promoting business development in the Wood Buffalo region, one of the fastest growing industrial areas in Canada. Continuing the legacy of strong leadership is the NAABA’s current President Nicole Bourque-Bouchier. A long-time resident of Fort McMurray and member of the Mikisew Cree First Nation, Nicole Bourque-Bouchier is the Chief Executive Officer and Co-Owner of The Bouchier Group, recipient of the Ernst & Young’s Oil and Gas Entrepreneur of Year Award and Canada’s Top 100 Most Powerful Women. “Our goals are clear,” says Bourque-Bouchier. 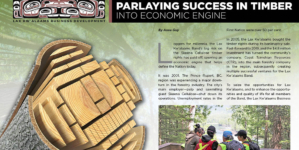 To lobby government, industry and community and government organizations to recognize and engage with Aboriginal businesses is first on the docket, alongside providing members with training and development opportunities. Bourque-Bouchier says “meaningful participation” in the area’s economic growth between Industry and Membership is vital. Corporate Oil and Gas companies are spending in the hundreds of millions of dollars with Aboriginal business, says Bourque-Bouchier, and the NAABA is providing the link between the two. 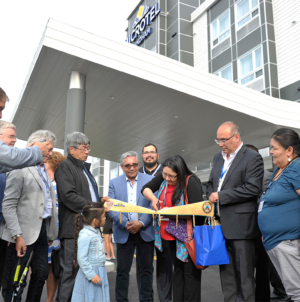 “The Wood Buffalo region is home to some of the most successful Indigenous businesses and largest oil and gas producers in Canada, and by identifying opportunities for supplying goods and services to these operations, we can all win,” says Bourque-Bouchier. NAABA works to develop capacity and opportunities for Aboriginal business in the region through support and training opportunities. Members are categorized as companies that are at least 51 per cent Aboriginally-owned and majority-controlled businesses in the Wood Buffalo region. Membership program offers a community for like-minded business people with a number of benefits and opportunities, including business promotion, networking, access to industry representatives and procurement policies, and mentorship. When it comes to supporting their 100-plus full time and associate members, the NAABA looks to innovation. “We try to offer our members this through providing educational courses and networking events for our members, and through collaboration more with organizations such as CCAB (Canadian Council for Aboriginal Business), industry and First Nation owned businesses,” says Bourque-Bouchier. Bourque-Bouchier says she sometimes feels like the Wood Buffalo regions feels like a big family and works hard to maintain this sense of belonging amongst the community. She has always called Fort McMurray home and feels very blessed with the opportunities it has presented. Through events such as the Annual Golf Tournament, Annual General Meeting, Aboriginal Business Showcase, Aboriginal Business Showcase and other Networking events, the NAABA gives back to the community and brings people and businesses together for a common goal.